We Houston Bloggers love our readers! 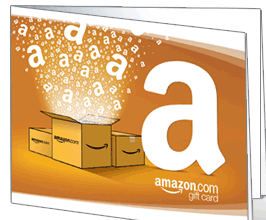 So as a THANK YOU we are offering one winner $75 Amazon Gift Code! That's right, no rhyme or reason, we just love ya! All you have to do to enter is like us on Facebook! Every like is a contest entry! You do not have to live in Houston or Texas to win! Anyone can! The giveaway will start Monday, September 12 at 11pm CST and end Friday September 30th at 11pm CST!